Durable. 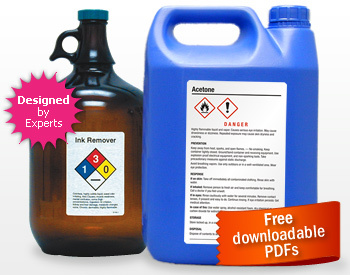 Laminated labels with drum-grade adhesives mean your labels withstand chemicals and abuse. Compliant. 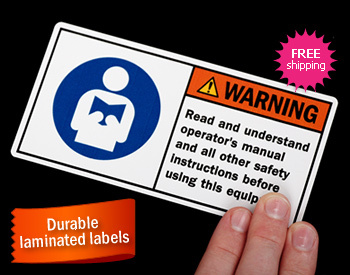 Find professional symbols, expert designed HazCom labels and OSHA & ANSI compliant designs. Effective. A specific label with your exact instructions is always most effective. We offer over 2,000 stock designs. Affordable. Save 50% over other sites. Free Shipping & Fast Delivery. Most orders ship in a day or two. Orders over $25 ship for free.